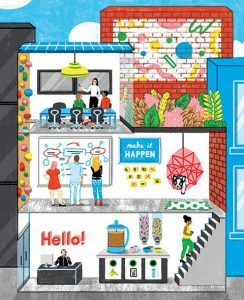 This Spring , UofT Magazine had a spotlight on startups. They asked 10 of the University of Toronto’s – and some of Canada’s – top entrepreneurs to share a key lesson they learned on their journey to success. “Test out your ideas in the real world. 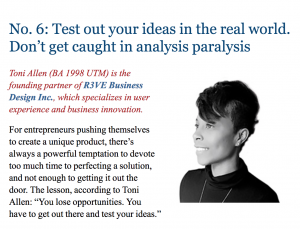 Don’t get caught in analysis paralysis”. Read the full article, So You Want to Build a Startup?